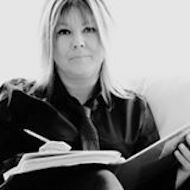 Hello, I'm Claire, a clinical hypnotherapist and advanced practitioner of BWRTÂ®. I've been helping people to become the best version of themselves for more than 20 years and work with most mind-related matters, including fears, phobias and all kinds of anxiety. Before setting up in private practice I trained and mentored teams of children's social workers. 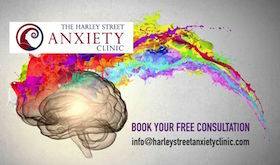 Nowadays, I help people of all ages at my private clinic in London (The Harley Street Anxiety Clinic) and at the Therapy Life Centre, in Southend, and also online worldwide via Skype and Facetime. In between helping clients I write a weekly newspaper column, where I offer advice to readersâ€™ problems. Initial consultations are free and all enquiries welcome. 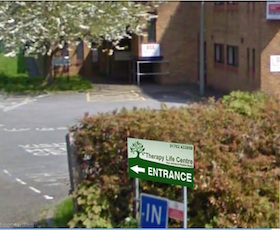 I'm an approved therapist with the Prince's Trust and YMCA, and specialise in helping teenagers and young people. I also have an interest in identity and work with gender dysphoria and other core identity issues, like depression, and low self-esteem and confidence. "In one session Claire has cured me of an increasing fear of heights that was causing paralysing panic attacks. It has made such a huge difference and I am so grateful to Claire!! A big THANK YOU!! "After 18 months of dealing with awful feelings from a near fatal car accident I went to see claire. The anxiety, OCD, fear and distrust was destroying my life and everyone around me. I've not experienced one symptom since. I'll be forever grateful to claire for giving me my life back."